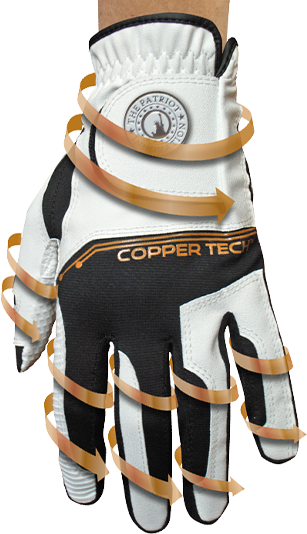 Copper Tech gloves improve health & performance while you enjoy playing golf. NEW! Men’s Spider Tacky glove now available in XL! Now, you can get an even tan on your glove hand, while keeping your hand cool. Copper-Infused Garden Glove that helps oxygenize hard working muscles. 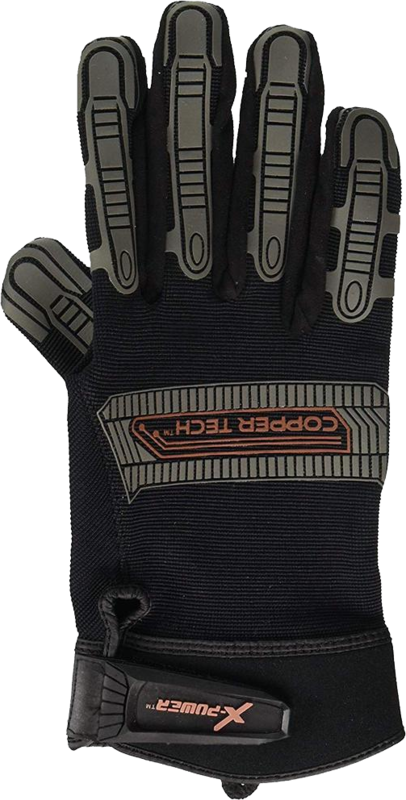 Compression work gloves help to give hands relief from aches while also giving you a better grip on the job at hand. COPPER TECH gloves have compression that helps boost circulation, which can ease aches and muscle fatigue and the copper infused in the material is thought to relieve joint pain. Form flex technology gives you a custom-fit feeling and an extra-grippy non-slip silicone grip means using less tension to hold onto tools. 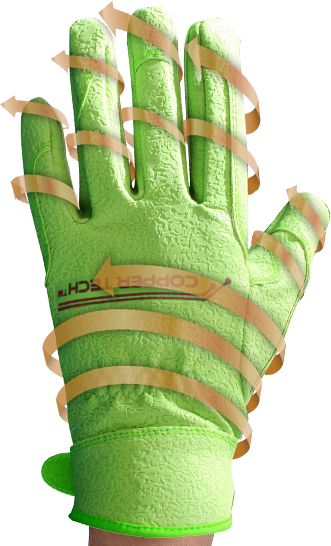 We are excited to announce our newest glove to the Copper Tech line: Garden Gloves! We understand pulling weeds and digging in the dirt can make your hands ache. Our Copper-Infused Garden Glove will help with the oxygenation of hard working muscles. Our Copper Tech Garden Gloves are sold in pairs. 1. Copper infused technology improves health & performance. 2. Spider tacky pattern greatly improves slip resistance. 3. Supports improved circulation & oxygenation of working muscles. 4. Helps prevent strain & fatigue by keeping muscles warm. 5. Wicks sweat away from the body to prevent chafing, rashes, & odor. 6. Provides support for muscle stiffness, soreness & pain. Reduces recovery time of muscles. 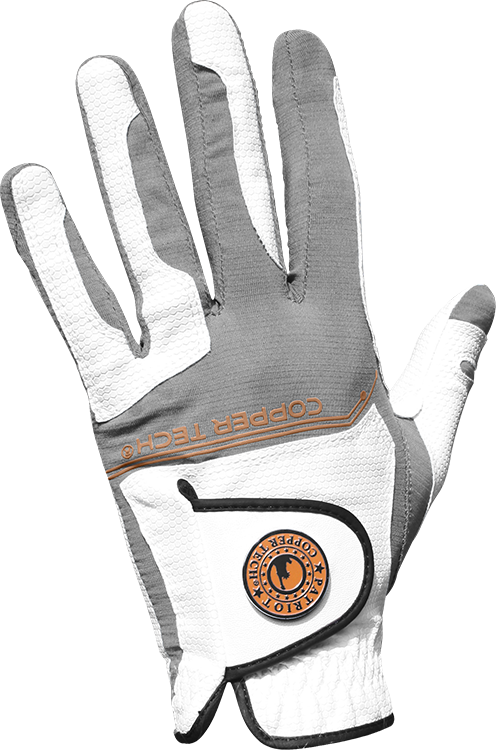 Our Copper Tech Golf Gloves truly fit a lady’s hand. 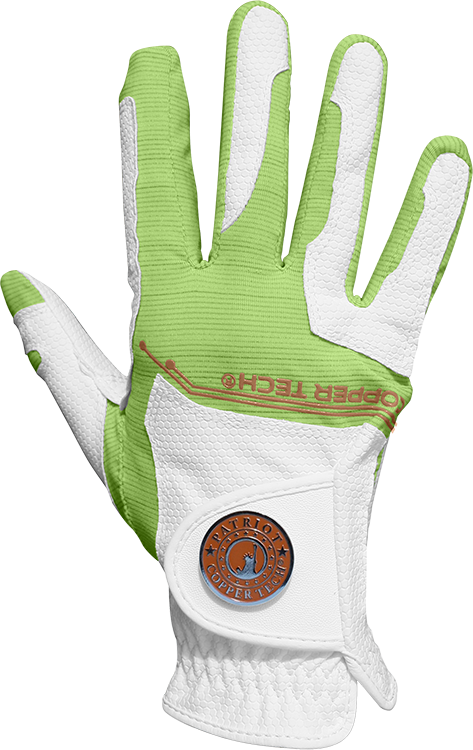 Available in several colors options (see below), we are confident you’ll find our copper-infused ladies golf gloves extremely comfortable out on the course. Our Copper-infused technology improves circulation and oxygenation of working muscles. Copper is woven within the material of the glove, helping to prevent strain and fatigue by keeping your muscles warm. Copper Tech gloves provides support for muscle stiffness, soreness and pain, and also improves recovery time of muscles. The palm features our Spider-Tacky grip that will greatly improve slip resistance on your club. Our adjustable Velcro strap will keep your glove fitting perfectly around your wrist, and our removable magnetic ball marker can be used on the green. 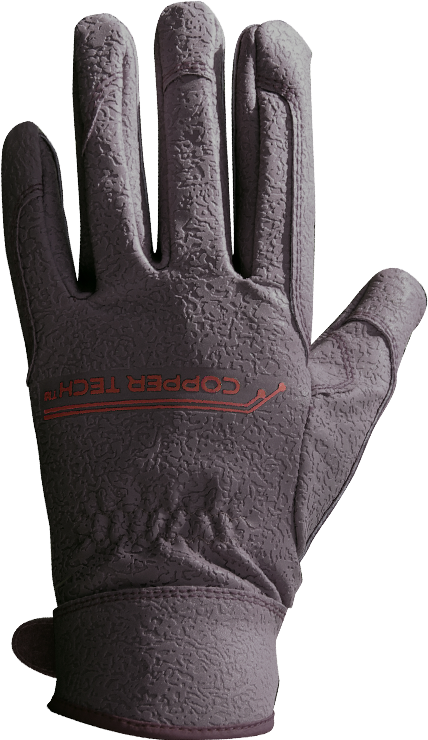 Give Copper Tech Golf gloves a try- your hands will be thanking you! 1. Copper-infused technology improves health & performance. 2. Non-slip honeycomb grip improves slip resistance. 4. Helps prevent strain & fatique by keeping muscles warm. 5. Wicks sweat away from the hand to prevent chafing, rashes & odor. 6. Provides support for muscle stiffness, soreness & pain and reduces recovery time of muscles. 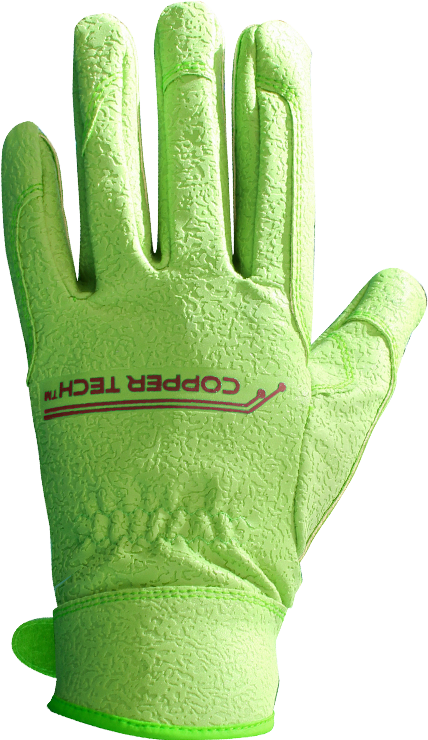 We are excited to announce our newest glove to the Copper Tech line: Garden Gloves! We understand working outside for hours with your hands can make them ache. Our Copper-Infused Garden Glove will help with the oxygenation of hard working muscles and our spider tacky palm improves slip resistance. Our Copper Tech Garden Gloves are sold in pairs. The Form Fit gloves from Lady Classic allow for a full range of flexibility and the perfect grip. Light and form fitting material allows for optimum comfort and control. 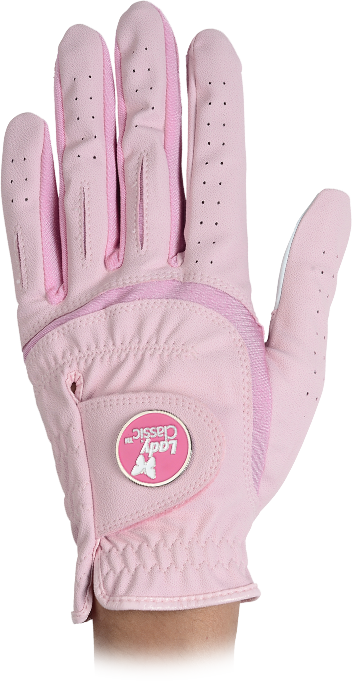 Our attention to detail presents lady golfers with a highly fashionable glove. The added leather patch on the palm and thumb give you the extra wear ability for a longer lasting glove. You will not be disappointed with the Soft Flex. *Glove comes with free removable ball marker. These new gloves from Lady Classic allow for a full range of flexibility and the perfect grip. The light and form fitting material allows for optimum comfort and control. 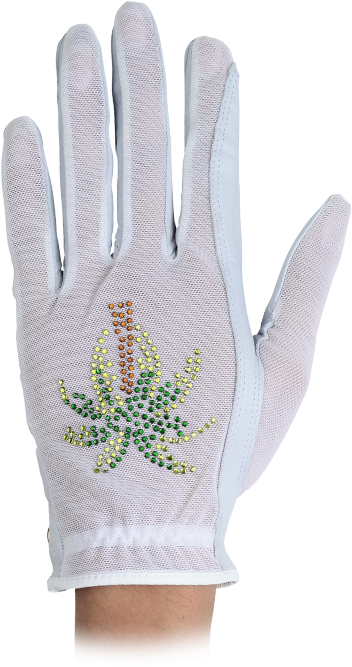 Our attention to detail presents lady golfers with a highly fashionable glove. The added leather patch on the palm and thumb give you the extra wear ability for a longer lasting glove. You will not be disappointed with the Soft Flex. LadyClassic hits shelves on a new level of sensitivity and enhanced performance with the glove designed specifically for golfers with nails! The contour fit hugs your fingers and palm for a custom grip and completely eliminates bunching and bagging. This glove provides the perfect grip and the durable open-tip finger nail slots save your gloves from rips, wear & tear! It’s our thoughtful finishing touches that make Lady Classic golf gloves the best you can wear! 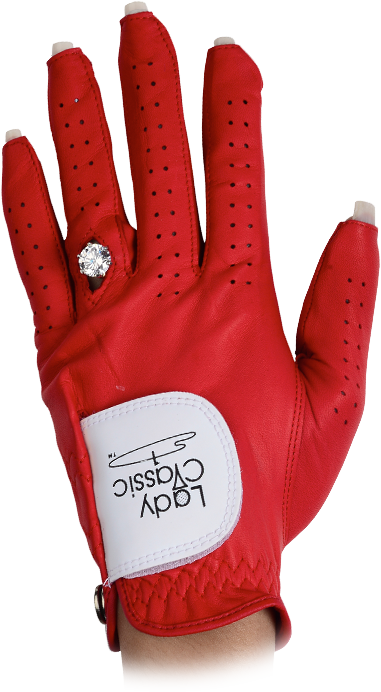 Now Lady Classic has designed a glove to specifically accommodate golfers with nails and a ring. 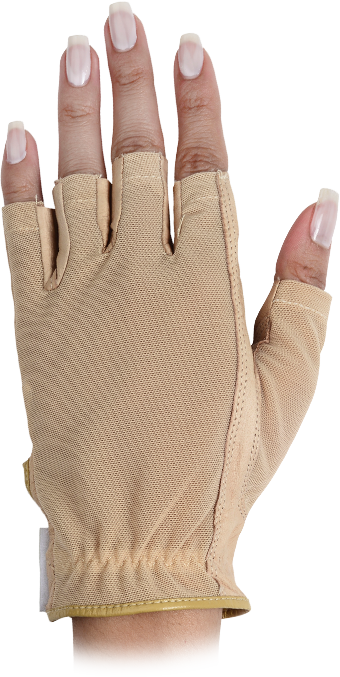 The contour fit provides a perfect comfort grip around your fingers and palm, completely eliminates bunching and bagging, and the durable open-tip finger nail slots save your gloves from rips, wear & tear! A combination of skin protection and a longer lasting suntan result from the SOLAR TAN’S UNIQUE UV FILTER FABRIC. The glove allows Lady golfers the ultimate tan while protecting your skin with SPF10. 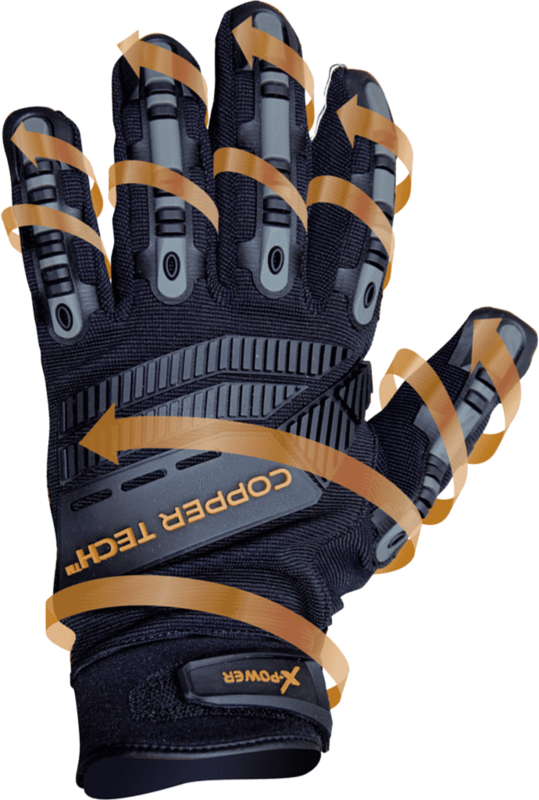 Now, you can get an even tan on your glove hand while keeping your hand cool as you perform at your very best. A combination of skin protection and a longer lasting suntan result the Solar Tan’s Unique Violet Filter Fabric. 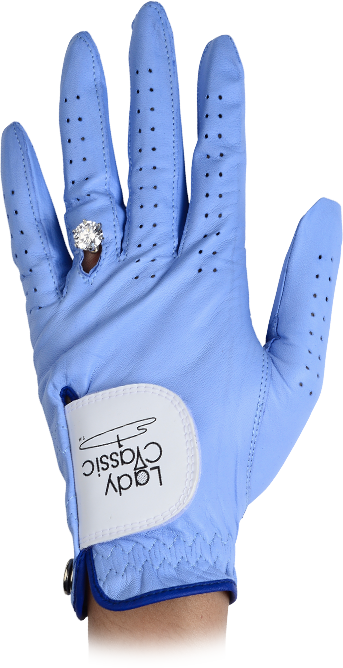 The glove allows Lady golfers the ultimate tan: openings for finger nails and ring while protecting your skin with SPF10. Now, you can get an even tan on your glove hand, while keeping your hand cool, and without letting your finger nails or ring damage your gloves. 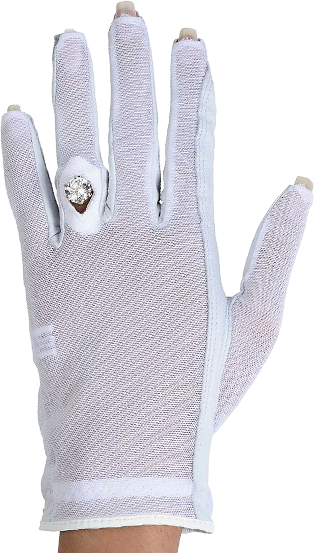 The Lady Classic Bling glove is made of the highest quality crystal. This glove is also made of the best grade cabretta leather on the thumb and palm. The top of the glove consist of a powernet material giving you the added fit and comfort a Lady Classic glove should have. The glove is the most form fitting and stylish glove we offer. 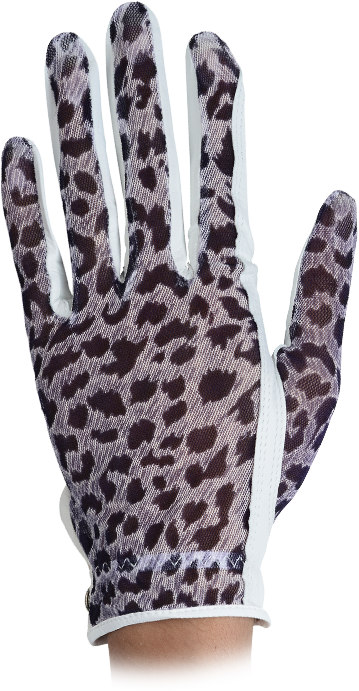 The Lady Classic Animal Print Glove provides skin protection and a longer lasting suntan result from the SOLAR TAN’S UNIQUE UV FILTER FABRIC. The glove allows Lady golfers the ultimate tan while at the same time, protecting your skin with SPF10. Now, you can get an even tan on your glove hand, while keeping your hand cool as you perform at your very best. 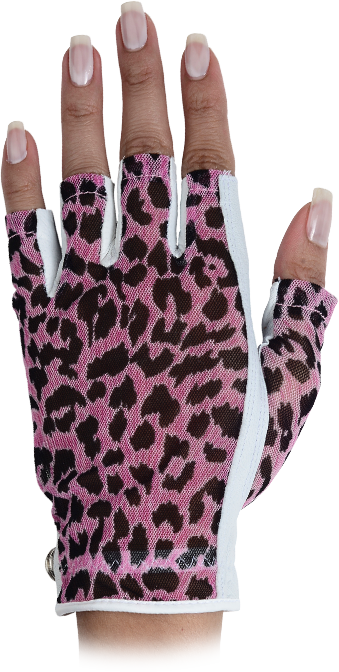 The Lady Classic Animal Print Half Glove provides skin protection and a longer lasting suntan result from the SOLAR TAN’S UNIQUE UV FILTER FABRIC. The glove allows Lady golfers the ultimate tan while protecting your skin with SPF10. Now you can get an even tan on your glove hand while keeping your hand cool, and as you perform at your very best. A combination of skin protection and a longer lasting suntan result from the SOLAR TAN’S UNIQUE UV FILTER FABRIC. The glove allows Lady golfers the ultimate tan while at the same time, protecting your skin with SPF10. 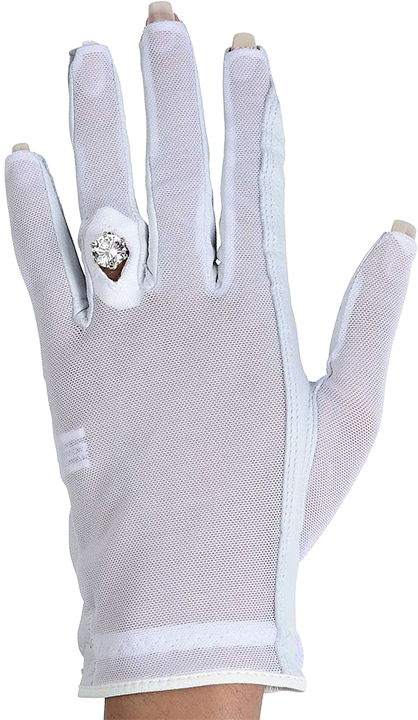 Now you can get an even tan on your glove hand while keeping your hand cool, as you perform at your very best. The Half Glove’s Uniquely Genuine Cabretta Leather Palm enhances a golfer’s grip, while the double reinforced elastic closure and breathable mesh backing allow your hand to comfortably breathe as you perform at your best. 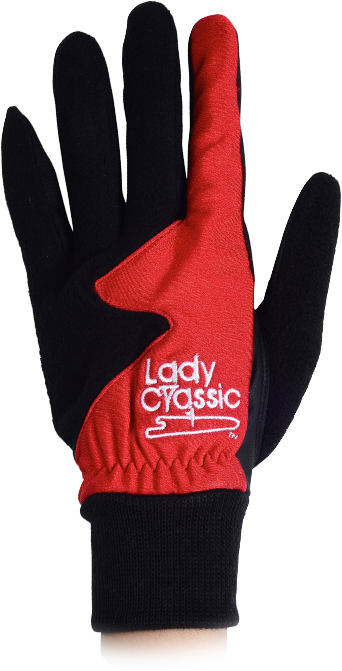 LadyClassic Winter Golf Gloves provide fashionable protection against cold weather! The Winter Glove’s Uniquely Advanced Microfiber and double polar fleece protection provides warmth, while still allowing high breathability against any wind chill. 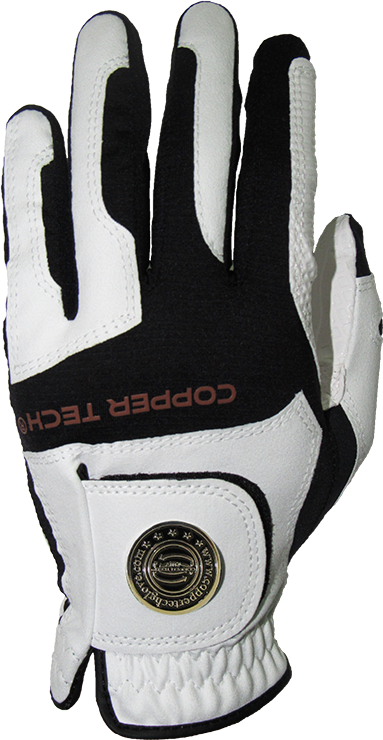 Now you can golf with comfort, while keeping your hands warm, as you perform at your very best. Some play in order to beat their best game, some like the competition and others play for the sheer enjoyment. Regardless of why YOU play, LadyClassic and Copper Tech have the gloves and accessories to enhance your golfing experience. LadyClassic and Copper Tech start each design with only the highest quality materials, from genuine cabretta leather, to newtec synthetic leather, and all-weather washable suede. We work directly with women and men to discover what it is that they really want in golf accessories. 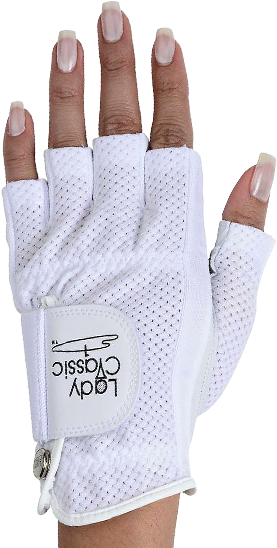 From fashion and comfort, to prestige and sophistication, LadyClassic and Copper Tech have designed golf gloves and accessories that suite every golfing style. More than just gloves. Become a part of the LadyClassic and Copper Tech lifestyle!